I love palazzo pants just as much as I love maxi skirts. Jeans are not on my radar during the Houston summers. Only dresses and shorts are my summer attire...but occasionally, when I really want to relax modestly and still feel dressed up enough to go out in this heat, lightweight pants are great. In this case, the palazzo pants do the trick. There are so many different patterns on the market for palazzos, but these sort of went under the radar for such a long long time. As a matter of fact, the envelope even screams "boring." I spend more time opening pattern envelopes and reading and studying pattern pieces, than I care to admit. I just want to see how they are designed, because that is my nature, never take anything at face value, and always look under the hood. 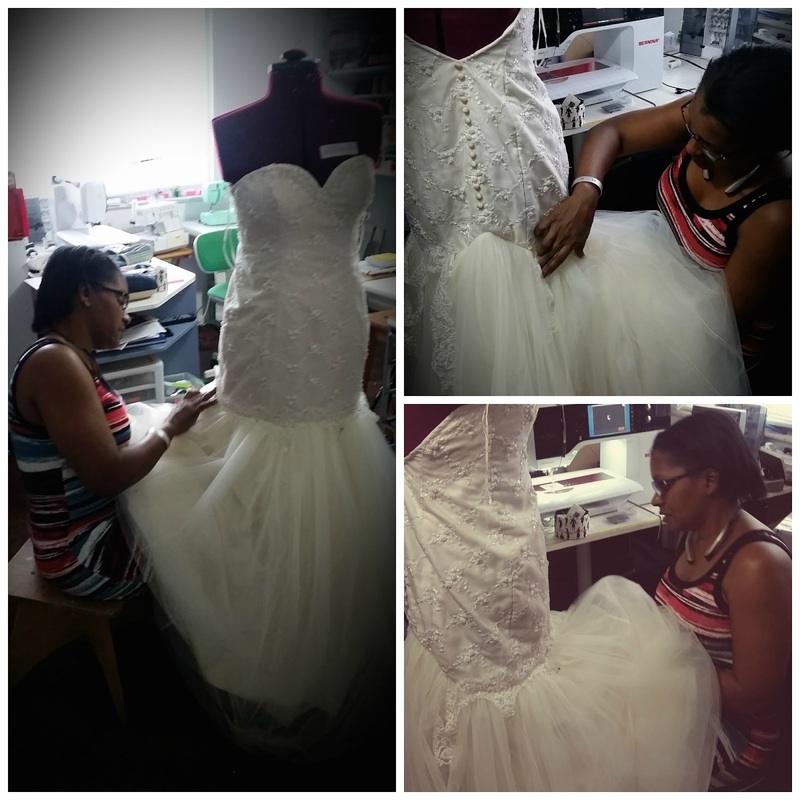 Wedding Chronicles- The building of a Wedding Gown through the "Eye of the Needle"
Be forewarned-- this is a long post. 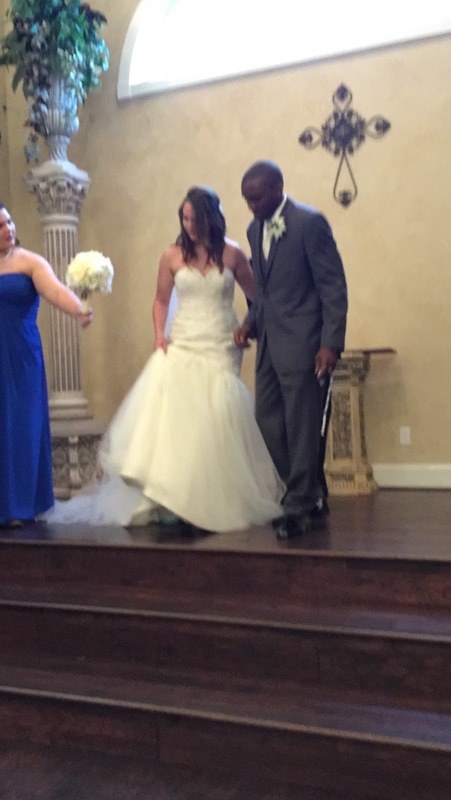 It is picture heavy and even a little TMI on my feelings as a new Mother-In-Law. This is a story about building a wedding dress and building new family ties, this is a story of a Mother's Love through the "Eye of the Needle" from behind the sewing machine. Sewing on the lacing trim and beading. As most of you know, from Instagram post, and other social media...I have been preparing for my son's wedding over the past year. What a beautiful joyous occasion for all involved. As the Mother of the Groom, of course my duties were far less involved than the MoB. Although, however, the weight of the task I had to execute, the gown, meant more to the success of the wedding than anything else combined. A weighty challenge, and a serious burden to say the least. Dare I make it sound as though I minimize all else that had to be done and orchestrated by the MOB. Quite the contrary, it is my nature to orchestrate events, however, in my new age of self awareness, I have found it far more relaxing to focus only on one task, however involved it may be or no matter the difficulty, one task always works for me. This indeed was the most joyous task or job I have ever been asked to do. 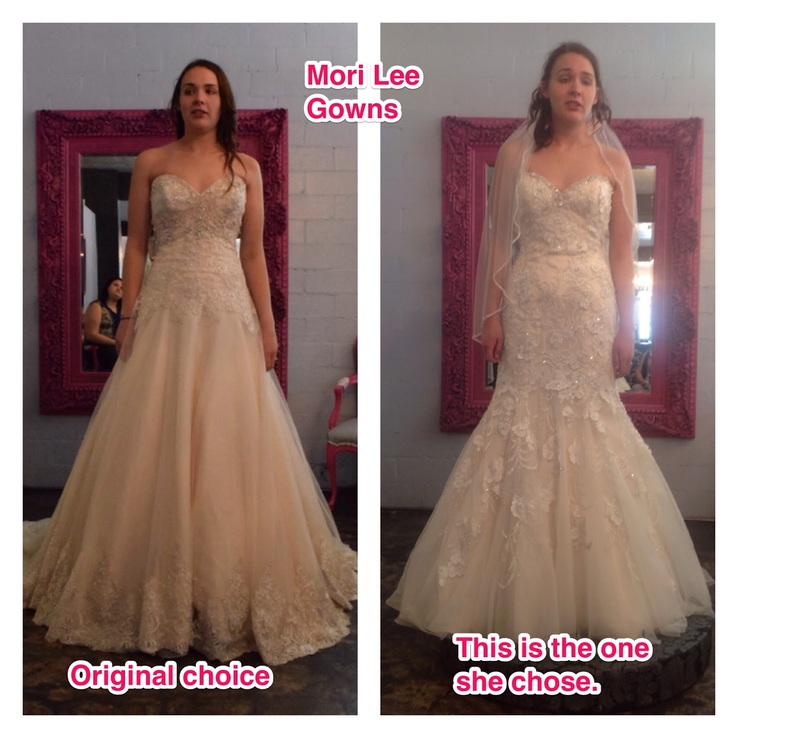 To custom make my son's Bride's Wedding Gown!!! A gift to my son as well as to the bride. I would do it all over again in a heartbeat!! Let us, however, take this further-- you see this gift was far more than a wedding gown, it was for a family. The gown is something special all on its own, this one was a gift to the Bride's grandmother as well as to her only Aunt on her Dad's side, who also wore the original dress in its original form. Grandmother's dress was over 50 years old. Antique!!! And the Aunt as lovely and energetic as she is, you would not realize, but is suffering from Stage 4 cancer. 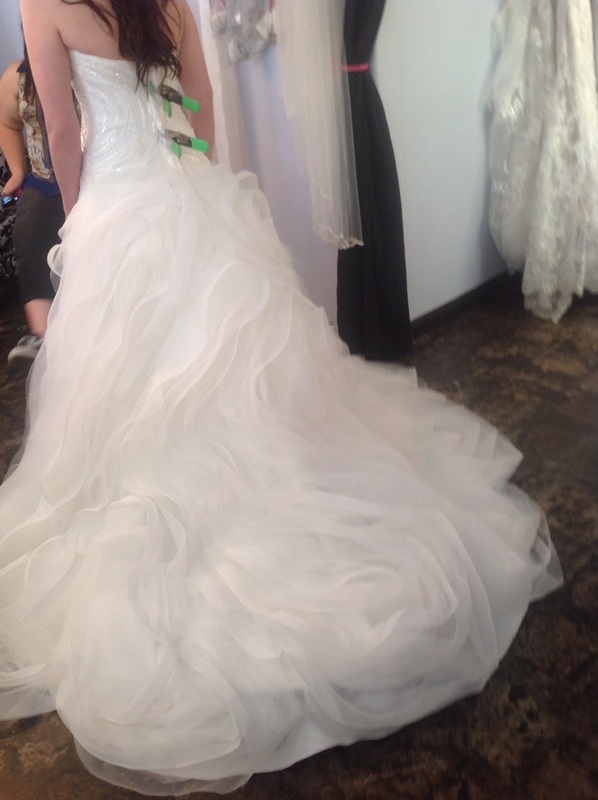 and entirely new wedding gown. Now you, my Sewl-sisters know the gravity of such a task, along with all the deep feelings and love that goes into such a project. This, we all know as Sewl-sisters proclaim was a true labor of love in so many ways, unimaginable to me at the onset of the project, yet discovered in its entirety at the alter. My dedication and passion to build this gown was fueled by my own level of deep sentimentality. I needed to feel close to my son. I needed to show my love in a way I knew how, and to express my maternal blessing for this marital union. And most of all, as selfish as it seems I needed to feel a since of presence for years and decades to come. Therefore, you see, I am now, not just a Mother-N-Law to my son's wife, she is more than that to me. I feel like I have a bond which I pray will never be broken. I sew from the heart, I am and will always be my creation, it is who I am. Why then do I feel a since of loss, a kind of "postpartum depression?" Mother and Son danced to "Momma" by Boys to Men. Emotional!! It is now a month since my baby boy was married. And for a month I have been sad. This type of empty next syndrome at the loss of my son as "MY BABY", is a boulder which has shocked my inner core and is forcing me, against my selfish will, to accept the fact, my Baby is now a man, a husband, a provider, and his wife is the main woman in his life now. Therefore, I must now learn to submit to their Holy Union, and take my rightful place as a mother-n-law should. I think this will be the last time I will come between the two of them. Another disclaimer: I am not at all suggesting that my son has any less love for me, no way, that is far from the truth. Although, it is with great pain that I must confess--she comes first. I pray he will honor her above all others, including, to some degree, even me. (Wow!!! that hurt to even say, let alone type.) You feel me? To start this series of post, lets begin with the idea, the research, and the plan of execution. There is no building without knowing to what end you are headed. With that in mind I gave our bride a series of responsibilities including shopping. I wanted to ensure her dedication to the idea and work involved in having a custom couture gown tailored to her exact specifications. One major item of business had to be determined...the gowns preferred silhouette. Dress after dress had to be tested and discussed by all involved. 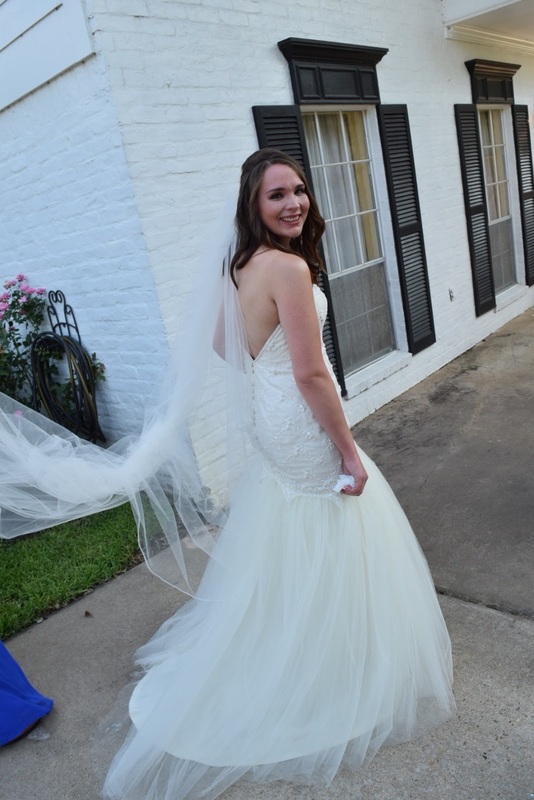 My involvement at this early stage was to confidently assure the bride "IT can be done." I can make anything she desired...right? 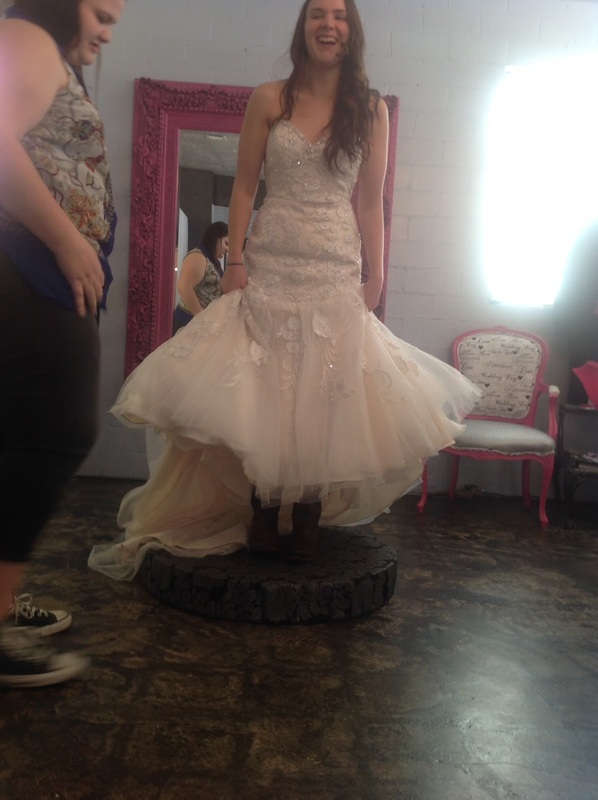 For me the process was angst, she, as with any bride-to-be was in a candy store. In the "sewing cave", other matters had to be discussed and determined. Fabrics and findings had to be explained, timelines had to be laid out, schedules needed to be coordinated. Schedules, yes, schedules, you see this bride was working from another city. So, I had to do more planning then I am normally accustomed to. I went over laces, underlinings, fabrication choices, silk vs polyester, cotton, bustling, buttons, bindings and all manner of materials, and construction supplies. After all we were preparing to "build" a wedding gown. Are you intrigued? Why yes you are my lovelies, you are Fashionistas, Sewist--you live to see what others are sewing. Do you want more on the development of this partnership and its foundation?...or Do you want to get to the making of the dress? I will be sharing that and more, through this little box we call a computer, in the coming weeks. 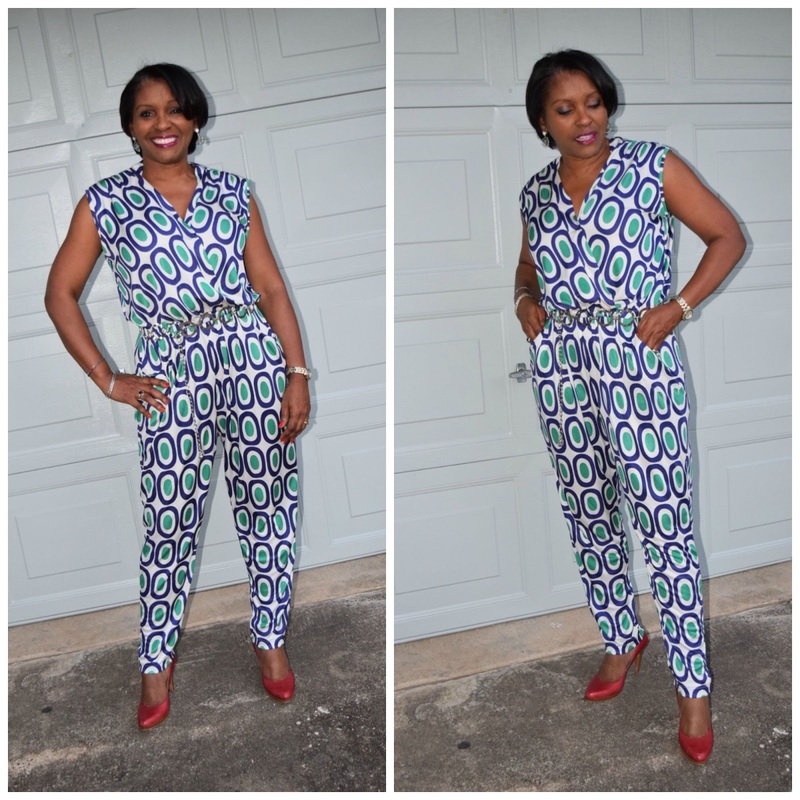 So stay tuned and in the meantime, check-in on my Instagram (sewtofit) account for daily updates on other projects.